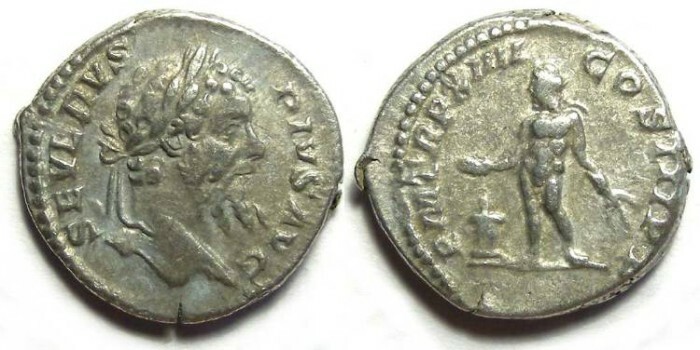 Septimius Severus, AD 193 - 211, Silver denarius. Size : 18.0 x 19.7 mm. Weight : 4.20 grams. Obverse : Head of Severus right, with SEVERUS PIVS AVG around. Reverse : Genius standing left, holding two ears of grain, and sacrificing out of a patera over an altar, with P M TR P XIIII COS III P P around.